This is such a joy to hear! The first time I heard and known about this pastry shop/ cafe was last month (yeah, too late) when one of my office mate brought a chicken pie for him (from Banapple's Katipunan branch) to share since the size is pretty big compared to the single pies served around here in Manila. I instantly fell in love after I took my first bite! The chicken meat is tender and flavorful. Yummy! 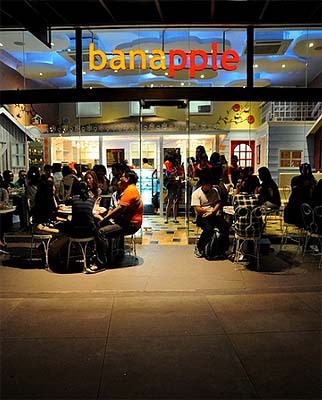 At that moment, I asked and prayed for Banapple to put up a store in the south area. Answered prayer! I never had a chance to check out the place yet but definitely, I'm going to visit the place in the next coming days before my Christmas vacation. Stay tune!